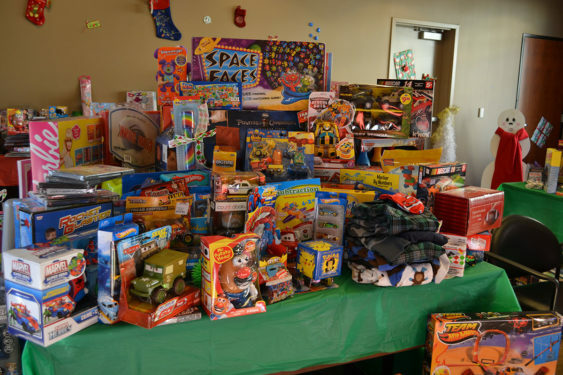 The annual Toy Drive is their last event for 2018 yet they accept new, unwrapped toys all year. 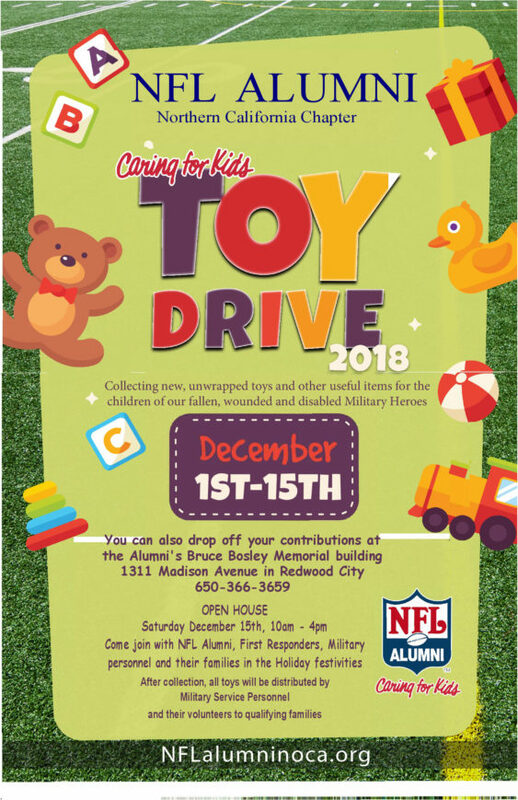 Drop off a new, unwrapped toy or useful item to their NFL Alumni NorCal Chapter building and your generous donation will go to families of the fallen military members. On December 16th from 10 am – 5 pm, meet former NFL players, Military personnel, Gold Star families, 1st Responders and local celebrities.